A precious nod to an old friend or a departed loved one. 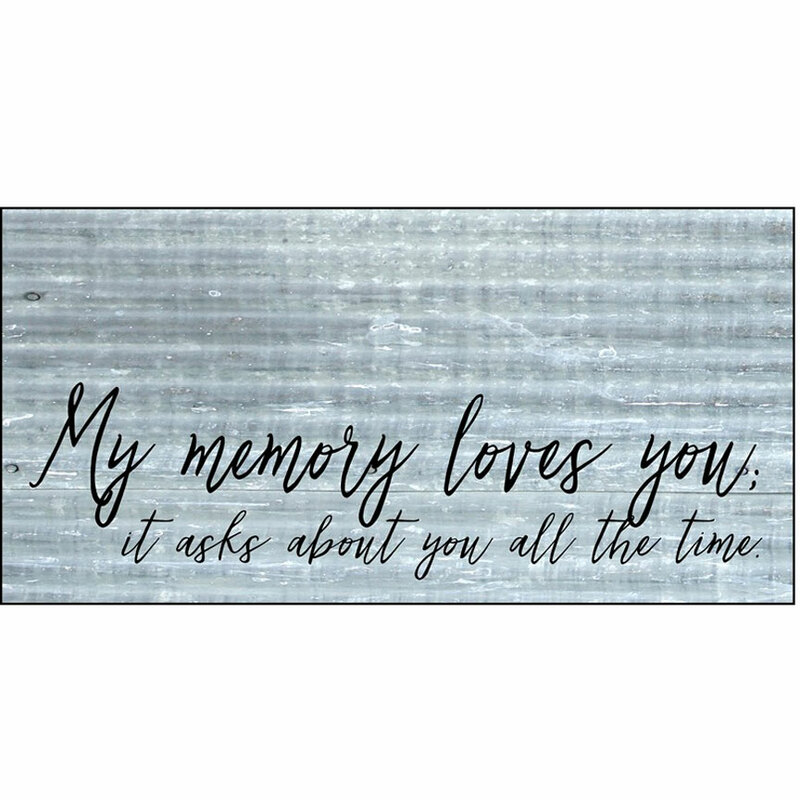 Recycled steel proof that memories don't fade away. 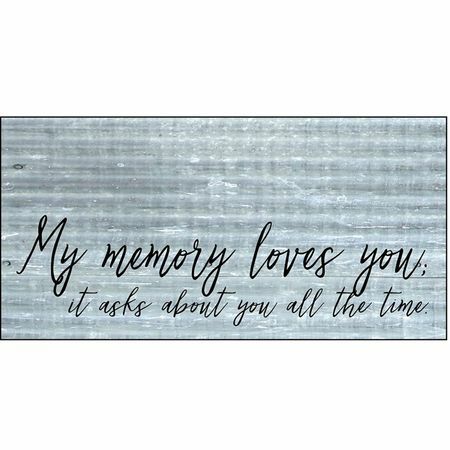 The slate finish leaves ample room above the script to attach photos or keepsakes from time spent with that special someone. Twenty four inches wide; wood frame backer for mounting. Sign reads: My memory loves you; it asks about you all the time.